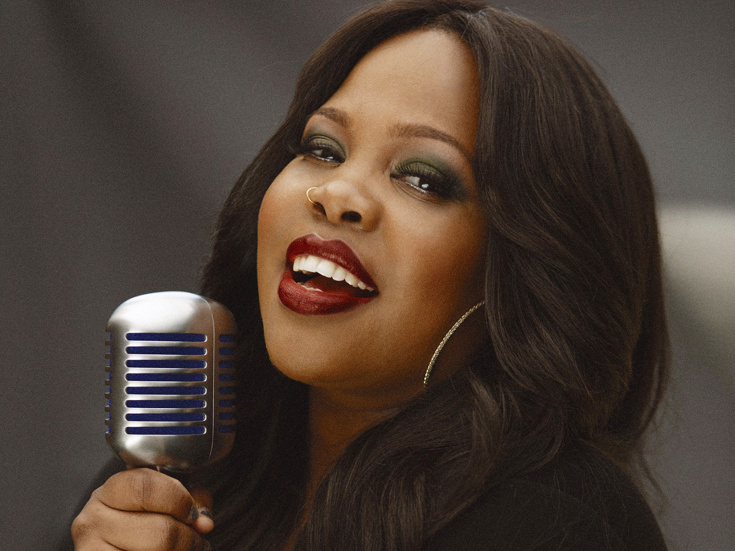 Amber Riley has landed the coveted role of Effie White in the West End premiere of the musical sensation Dreamgirls, according to The Daily Mail. Tony winner director Casey Nicholaw, currently represented on Broadway by The Book of Mormon, Aladdin and Something Rotten!, will stage the production, set to premiere at the Savoy Theatre in November. Riley first came to national attention as Mercedes Jones on Fox’s Glee, a role that gave her the chance to sing Effie’s Dreamgirls showstopper, “And I Am Telling You (I’m Not Going).” She recently played Addaperle in the hit NBC telecast The Wiz Live! and was also seen in Hair at the Hollywood Bowl and at City Center in Cotton Club Parade, although she didn’t stay with the show when it came to Broadway under the title After Midnight. In 2013, she won the 17th season of Dancing with the Stars, dancing alongside Derek Hough. Featuring music by Henry Krieger and book and lyrics by Tom Eyen, Dreamgirls tells the story of an all-girl singing group that closely resembles the Supremes. With director/choreographer Michael Bennett at the helm, the original 1981 staging was a Broadway sensation, winning a Tony Award for powerful newcomer Jennifer Holliday in the role of Effie. After an initial run of 1521 performances, the show closed in 1985, only to return to Broadway two years later with Tony winner Lillias White as Effie. The 2006 film version of Dreamgirls, directed by Bill Condon, made over $100 million at the box office and won a Golden Globe Award for Best Motion Picture - Comedy or Musical as well as an Academy Award for The Color Purple star Jennifer Hudson in the role of Effie. Want a sneak peek of Riley as Effie? Check out her Dreamgirls performance from Season One of Glee below!